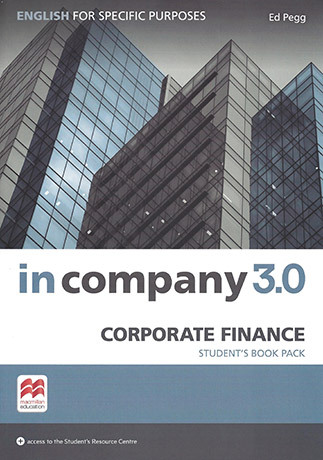 In Company 3.0 ESP Corporate Finance can be used by business professionals working in finance-related roles at different levels of seniority. The course uses the same communicative and people-skills focus as In Company 3.0, and can be used flexibly. It comes with a print Student's Book and access to an online Student's Resource Centre.